This is perfect for me, as I use miniatures for RPGs as well as war games, and have use for a wide variety of genres. 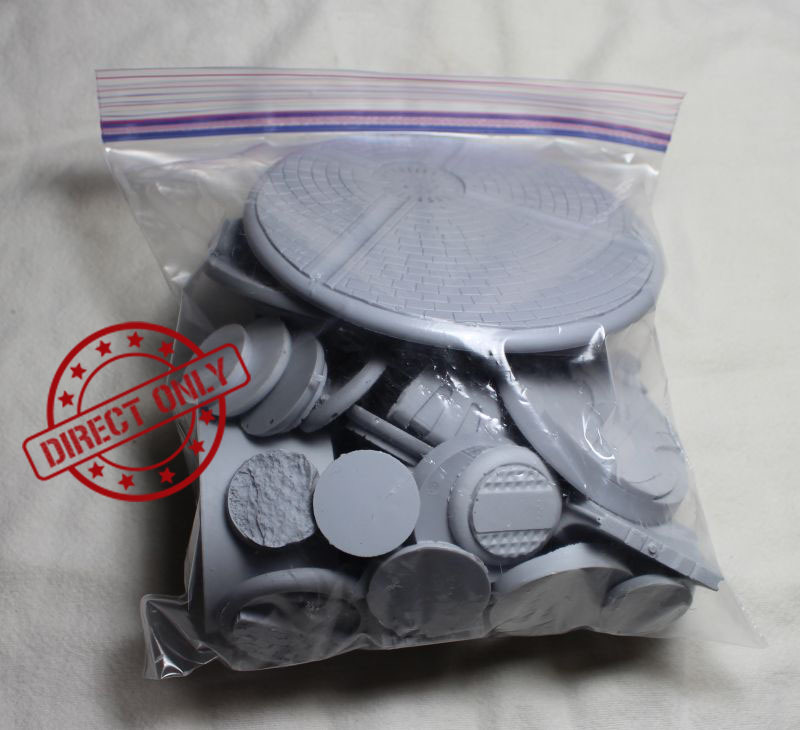 I realize no two bags will be alike, but in my bag I got several terrain pieces with only minor imperfections that were simple enough to fix with just a bit of epoxy putty as filler, or else I could just work it in as "battle damage." The bases served as a wonderful sampler of different styles, as I can only tell so much from photographs (and my FLGS doesn't carry any sort of resin bases, and won't order any for me). As such, now that I've gotten to see some of the pieces up close, I've gotten a lot more ideas for future basing projects - and many of these "miscasts" are still perfectly usable, as I don't necessarily mind the occasional bubble on the *underside* of a lipped base.